Tai Chi is an ancient form of martial arts that originated in China. Also known as Tai Chi Chuan, which translates to “supreme ultimate fist,” this art is known for its slow and purposeful movements. Although not used as a form of self-defense anymore, Tai Chi is becoming increasingly popular as a form of low-impact exercise and meditation. 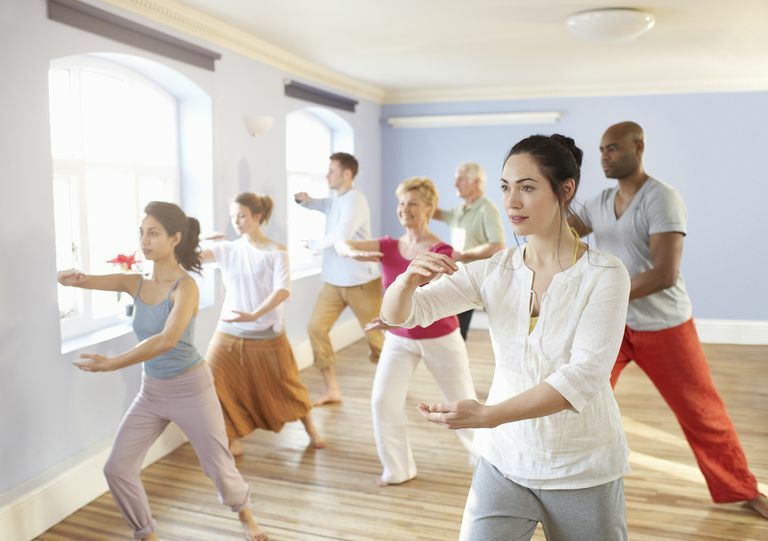 Studies have noted the benefits of Tai Chi in managing various medical conditions, such as improving balance, lowering stress and anxiety, and reducing pain associated with conditions such as osteoarthritis and fibromyalgia. Additionally, there is evidence suggesting that Tai Chi may be beneficial in improving heart health. Is Tai Chi Effective in Lowering Cholesterol? There are only a handful of studies that have been conducted examining the effect of Tai Chi on cholesterol levels. Although a few studies did not see a notable difference in cholesterol levels, there are other studies that appear encouraging. In some of these studies, total cholesterol levels were lowered by an average of about 7%. Additionally, LDL was lowered anywhere between 12% and 15%, and triglycerides were also lowered by at least 5%. HDL (good cholesterol), in some cases, was increased by an average of 7%. To see the results noted in these studies, the participants performed Tai Chi for at least an hour for two or three days a week. The most common style of tai chi performed was the Yang style. Should I Use Tai Chi to Lower My Cholesterol? Although there are not enough studies to draw a concrete conclusion on the effectiveness of Tai Chi in lowering cholesterol, the results noted so far appear modest, but promising. Tai Chi also appears to be beneficial in controlling of other risk factors for heart disease, such as high blood pressure. In any case, it is important to note that any type of exercise counts in terms of keeping your cholesterol levels and your heart healthy, so Tai Chi could be included in your exercise plan. However, as with any type of exercise, you should consult with your physician before including Tai Chi as part of your exercise regimen especially if you have a chronic health condition or it’s been a while since you have exercised. Tai Chi is not as strenuous as other aerobic exercises, making it an ideal exercise for those individuals that cannot perform higher impact exercises such as cycling, aerobics, and running. If you are looking for a more formal training in Tai Chi, you can also check your local YMCA, a college or university, or at a gym for additional information. Field T. Tai Chi research review. Compl Ther Clin Pract 2011;17:141-146. Lan C, Su T, Chen SY et al. Effect on Tai Chi Chuan on cardiovascular risk factors in dyslipidemic patients. J Alt Compl Med 2008;14:813-819. Tsai JC, Wang WH, Chan P et al. The beneficial effects of Tai Chi Chuan on blood pressure and lipid profile and anxiety status in a randomized controlled trial. J Alt Compl Med 2003;9:747-754. Lee EN. The effects of tai chi exercise program on blood pressure, total cholesterol and cortisol level in patients with essential hypertension. Taehan Kanho Hakhoe Chi 2004;34:829–837. Chang RY, Koo M, Ho MY et al. Effects of Tai Chi on adiponectin and glucose homeostasis in individuals with cardiovascular risk factors. Eur J Appl Physiol 2011; 111:57–66. Ko GTC, Tsang PCC, Chan HCK. A 10-week Tai-Chi program improved the blood pressure, lipid profile and SF-36 scores in Hong Kong Chinese women. Med Sci Monit 2006;12:CR196-199.